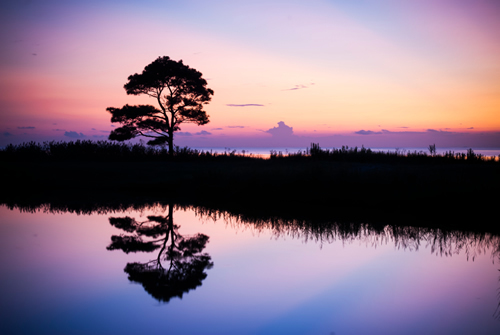 The scenic Eastern Shore of Virginia is a 70-mile peninsula off of Virginia's coast, surrounded by the waters of the Chesapeake Bay and the Atlantic Ocean. Accomack County is located on the northern portion of the Eastern Shore, while Northampton County is on the southern portion. 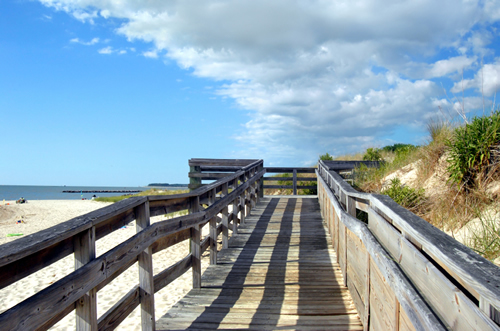 The Coastal Virginia - Eastern Shore region is accessible via the 17.5-mile Chesapeake Bay Bridge-Tunnel. The Shore is a place that has somehow managed to remain relatively unchanged through the times. Its pristine condition is mainly a result of the surrounding waters of the Chesapeake Bay and the County's isolation to large East Coast metropolises such as Virginia's Tidewater Area (Virginia Beach & Norfolk). Generations of families have been left to their own and have created a rich tradition of living off the land through farming and fishing. For centuries a unique harmony, between mankind and nature, has evolved from these circumstances. Northampton County's central location on the Eastern Seaboard places it less than a 1-day drive from areas such as New York City, Philadelphia, and Washington, D.C. Northampton County contains numerous natural and cultural sites, including two large public parks, Eastern Shore of Virginia National Wildlife Refuge and Kiptopeke State Park, located at the southern end of the county. Historic townships, such as Eastville, Cheriton and Cape Charles contain buildings that speak to more than 350 years of architectural design in the United States.